Premiership Rugby (officially known as Gallagher Premiership Rugby, or the Gallagher Premiership due to sponsorship reasons) is an English professional rugby union competition. The Premiership consists of twelve clubs, and is the top division of the English rugby union system. Premiership clubs qualify for Europe's two main club competitions, the European Rugby Champions Cup and the European Rugby Challenge Cup. The team finishing at the bottom of the Premiership each season is relegated to the second division, the RFU Championship; the winner of the Championship is promoted to the Premiership. The competition has been played since 1987, and has evolved into the current Premiership system. The current champions are Saracens. The most recently promoted side are the Bristol Bears, who returned to the top flight in 2018. The governing body of rugby union in England, the Rugby Football Union (RFU), long resisted leagues as it was believed that the introduction of leagues would increase 'dirty' play and put pressure on clubs to pay their players (thereby contravening the amateur ethos). Instead, clubs arranged their own fixtures and had traditional games. The only organised tournaments were the County Cups and County Championship — the former played by clubs and the latter by County representative teams. The Daily Telegraph and a few local newspapers — such as the Yorkshire Post — compiled 'pennants' based on teams' performances, but as the strength of fixture lists varied, it was at best an estimate of a team's performance throughout a season. In 1972 the RFU sanctioned a national knock-out cup — the RFU Club Competition, the predecessor to the Anglo-Welsh Cup — followed first by regional merit tables and then, in the mid-1980s, by national merit tables. One of the casualties of the move to competitive leagues was the loss of some traditional games as the new fixture lists didn't allow time for all of them. The league system has evolved since its start in 1987 when the Courage Leagues were formed — a league pyramid with roughly 1000 clubs playing in 108 leagues each with promotion and relegation. In the first season, clubs were expected to arrange the fixtures on mutually convenient dates. The clubs involved were Bath, Bristol, Coventry, Gloucester, Harlequins, Leicester, Moseley, Nottingham, Orrell, Sale, Wasps and Waterloo. That first season was an unqualified success, with clubs in the upper echelons of the national leagues reporting increased crowds, interest from both local backers and national companies, and higher skill levels among players exposed to regular competition. The fears that leagues would lead to greater violence on the field proved largely unfounded. By the next season, the RFU allocated fixed Saturdays to the league season, removing the clubs' responsibility for scheduling matches. There was no home and away structure to the leagues in those early seasons, as sides played one another only once. Initially two teams, Bath and Leicester, proved to be head and shoulders above the rest in the Courage League, and between them dominated the top of the table. In 1994 the league structure expanded to include a full rota of home and away matches for the first time. The 1994–95 season was the first to be shown live on Sky Sports, a relationship which continued until the 2013–14 season when BT Sport acquired the exclusive rights. The league turned professional for the 1996–97 season when the first winners were London Wasps, joining Bath and Leicester as the only champions in the league's first decade. Clubs like Saracens, Newcastle and Northampton were able to attract wealthy benefactors, but the professional era also had its casualties, as clubs like West Hartlepool, Richmond and London Scottish were forced into administration when their backers pulled out. The start of the 2000–01 season brought with it a re-vamping of the season structure. In 2000–2001 an 8-team playoff (the Championship) was introduced. However, the team finishing top of the table at the end of the regular season was still considered English champions ("Premiership title"). Halfway through the 2001–02 season, with Leicester odds-on to win their fourth title in succession, it was controversially decided that the winners of the 8-team playoffs would be crowned English champions. There was an outcry from fans and this proposal was dropped. From the beginning of the 2002–03 season, a new playoff format was introduced to replace the 8-team Championship. The format required the first placed team in the league to play the winner of a match between the second- and third-placed teams. Critically, the winner of this game (the Premiership Final) would be recognised as English champions. Although Gloucester won the league by a clear margin, they then faced a three-week wait until the final. Having lost their momentum, they were beaten by second-placed Wasps (who had defeated third-placed Northampton) in the play-offs. The playoff structure was reformatted in the 2005–06 season in which the first placed team would play the fourth placed team in a semi-final (a Shaughnessy playoff). Since the implementation of the playoff system, only four teams have won both the regular season and playoffs in the same year; Leicester in 2000–01 (the first year of the playoffs) and again in 2008–09 and 2009–10, Sale Sharks in 2005–06, Harlequins 2011–12 and Saracens in 2015-16. Of all the Premiership teams, Wasps have made a reputation for playing the competition format to perfection, peaking at the right time to be crowned English Champions in 2003, 2004, 2005 and 2008. Wasps did not lead the league standings at the end of the season in any of these years. Conversely, Gloucester have garnered an unfortunate reputation for leading the table at the end of the regular season, only to fall short of winning the Premiership title, losing finals in 2003, 2007 and 2008. Gloucester's single victory in the playoffs, in 2002, occurred when league leaders Leicester were still considered English champions, meaning Gloucester's Championship victory was considered secondary. The 2011–12 season saw Harlequins add their name to the trophy on their first attempt, winning 30-23 against the nine-times champions Leicester. Leicester would have to wait until 2012–13 for their 10th championship, where they defeated Northampton in the final. The 2013–14 Aviva Premiership season saw Northampton become the 8th different team to win the trophy. This was achieved when they defeated Leicester Tigers in the semi-final 21–20, thus denying Leicester a 10th Consecutive Final. In the final, they defeated Saracens 20–24 with a try in the last minute of extra time to win the 2013–14 Aviva Premiership. With the future of the Heineken Cup uncertain beyond 2013–14, due to a row between England's Premiership Rugby Limited and France's LNR on one side and the sport's governing bodies on the other, Premiership Rugby Limited has explored several moves toward expanding its brand into the United States. In May 2013, Premiership Rugby Limited and U.S.-based RugbyLaw entered into a plan by which the two organisations were to help back a proposed U.S. professional league that could have begun play as early as 2014. The first phase of the plan was to involve two preseason exhibitions featuring an "American Barbarians" side that will combine international veterans and young American talent. The "Barbarians" were intended to play matches in August 2013 in the U.S. and London, but those plans fell through; the matches are currently indefinitely delayed. In August 2013, Leicester Tigers chairman Peter Tom confirmed that Premiership Rugby Limited had discussed the possibility of bringing select Premiership matches to the US. The first match played in the USA was on 12 March 2016 when London Irish were defeated by Saracens at the Red Bull Arena in the New York Metropolitan Area. This match was intended to be the first of a three-year deal which would have seen London Irish play one home match each season in the US, but their relegation from the Premiership at the end of the 2015–16 season scuttled that plan. A new deal was reached with American sports marketing company AEG in 2017 which will see at least one Premiership match taken to the US for four seasons starting in 2017–18. The first match under the new deal was held on 16 September 2017, with Newcastle Falcons taking their home fixture with Saracens to Talen Energy Stadium in the Philadelphia suburb of Chester, Pennsylvania. In 2018, although no match was scheduled to take place in the US, the round 6 match between Saracens and Harlequins was the first broadcast on network television in the US of an English Premiership game. The game was shown live on NBC. 2018 also saw a revamp of the league's secondary competition with the launch of the Premiership Rugby Shield. A total of 28 clubs have been involved in the top-flight since the league's inception in the 1987–88 season. The most recent club to make its debut in the Premiership was London Welsh, which made their top flight debut in 2012–13. Four clubs—Bath, Gloucester, Leicester and Wasps—have appeared in every season to date. Harlequins have only missed the 2005–06 season. Six other clubs have appeared in at least 20 seasons: Saracens, Northampton, Sale, London Irish, Bristol and Newcastle. 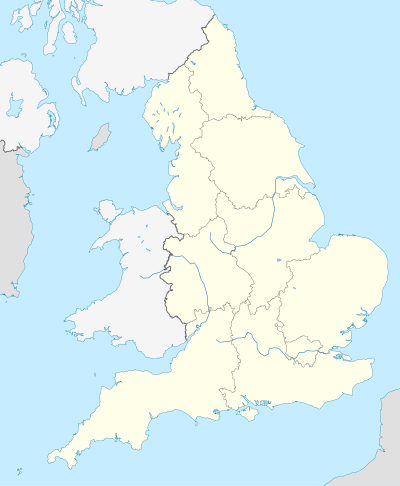 Coventry, Liverpool St Helens, Moseley, Nottingham, Rosslyn Park, Rugby and Waterloo only appeared during the amateur era, whereas Exeter, Leeds, London Welsh, Richmond, Rotherham and Worcester have only appeared during the professional era. Below, the 2018–19 clubs are listed in bold; ever-present clubs are listed in bold italics. Years listed are the calendar years in which the seasons ended. * Note: Leeds are now known as Yorkshire Carnegie, but were known as Leeds for all their time in the Premiership. Referees in the Premiership are selected from the RFU's Professional Referee Unit. The Professional Referee Unit consists of 15 referees with match appointments decided by PRU management team of ex-international referees Ed Morrison, Brian Campsall and Tony Spreadbury. They are supported by a large team of assistant referees. Following the completion of the regular season, the top 4 teams enter the play-off, which is held throughout May. The top two teams receive home advantage, the league leaders hosting the 4th ranked team, and the 2nd place team hosting the 3rd place team. The winners of these semi-finals progress to the final, held at Twickenham Stadium, with the winner of the final being Premiership Champions. There is a system of promotion and relegation to and from the Premiership. The last placed club after the 22 regular season rounds of the Premiership is relegated into the RFU Championship. Through the 2016–17 season, the winner of the Championship play-offs was promoted to the Premiership for the subsequent season; the Championship play-offs were then scrapped and replaced by automatic promotion for the top club on the final Championship table. However, promotion and relegation (regardless of the format used) are subject to Minimum Standards Criteria. If the winner of the play-offs or, from 2017–18, the team topping the Championship table, does not meet these standards, then there is no relegation/promotion, as would have been the case in the 2011–12 season when London Welsh won promotion from the Championship but were denied promotion, reprieving Newcastle Falcons from relegation, until London Welsh successfully appealed against their block. The top six teams qualify for the next season's European Rugby Champions Cup whilst the team in seventh place advances to a playoff for another place. Teams that do not qualify for the Champions Cup play in the European Rugby Challenge Cup. Bold italics denote players active in the 2018–19 Premiership. All records relate to 1997 onward when National League One was re-launched as the Premiership. Between 1987–2002, the team at the top of the league was crowned English champions. From 2002–03, the winner of the league has been determined with a Premiership Final, which takes place at Twickenham. Each season at least one team has been relegated at the end of the season, although occasionally teams are given a reprieve due to external factors e.g. promotion criteria. The English Premiership operates a salary cap, set by the Premiership Rugby Board, specifying the money a club can spend on the player salaries of its squad per season. In the current 2017–18 season, the base cap is £7 million, with an "academy credit" of up to £800,000 (£100,000 per player for up to eight players). A club may use the academy credit on a player that: (i) joined the club before his 18th birthday; (ii) is under age 24 at the start of the season; and (iii) earns a salary of more than £30,000. Under the credit scheme, the first £100,000 of a qualifying player's salary is not counted against the cap. Since the 2015–16 season, each club has been allowed to exclude two players from the cap calculations, an increase from one in prior seasons. Played with his Premiership club for at least two full seasons before he was nominated as an excluded player. Played with his Premiership club for the full season before being nominated as an excluded player, after having played outside the Premiership. Played outside the Premiership in the season before he was nominated. The second slot can only be filled by a player who had been outside the Premiership for at least one full season before signing his initial contract with his current Premiership club. For purposes of the exclusion rule, "initial contract" means the first contract signed for the 2015–16 season or later, meaning that a player who returned to a prior Premiership club after spending at least one full season outside the Premiership can qualify for the second slot. In the United Kingdom, the main rights are currently held by BT Sport under a new deal signed on 16 March 2015 replacing the former £152m deal signed on 12 September 2012. The new deal sees BT broadcast up to 80 live matches per season until the end of the 2020–21 season along with extended highlights of all matches and midweek programming. UK rights are also held by Channel 5 who will simulcast 5 matches live on a free-to-air basis, with a different commentary team as opposed to BT's commentary team, and also show a weekly highlights programme through the duration of BT's deal. In Australia the Premiership is available on beIN Sports. In the United States, the Premiership is available across NBC Sports since spring 2016. It will also be broadcast in China from 2017. Talksport and BBC Radio 5 Live, along with various BBC Local Radio stations broadcast commentary and magazine programming. ^ "Gallagher Premiership Rugby to kick off on 31 August 2018" (Press release). Premiership Rugby. 12 April 2018. Retrieved 17 April 2018. ^ "Partners | Sky Sports". Premiership Rugby. 28 June 2012. Retrieved 31 July 2013. ^ "Club History". London Scottish FC. 13 April 2013. Retrieved 19 April 2016. ^ "Leicester livid as seasons spoils are left up for grabs". The Independent. 10 February 2001. Retrieved 28 January 2009. ^ "Premiership semi-final: Northampton 21-20 Leicester". BBC Sport. 16 May 2014. Retrieved 4 June 2014. ^ "Premiership final: Saracens 20-24 Northampton Saints". BBC Sport. 31 May 2014. Retrieved 2 June 2014. ^ "Aviva Premiership Final: Saracens 20 Northampton Saints 24". Premiership Rugby. 31 May 2014. Archived from the original on 3 June 2014. Retrieved 2 June 2014. ^ a b Dart, Tom (11 May 2013). "NFL joins plan aiming to create professional rugby union league in US". theguardian.com. Guardian Media. Retrieved 4 August 2013. ^ Dart, Tom (5 June 2013). "US professional rugby union project delayed to 2014". theguardian.com. Guardian Media. Retrieved 4 August 2013. ^ "America to host Aviva Premiership matches?". ESPN Scrum. 4 August 2013. Retrieved 4 August 2013. ^ "London Irish to play Saracens in New York Premiership match". BBC Sport. 27 October 2015. Retrieved 27 October 2015. ^ a b Pengelly, Martin (17 May 2017). "Saracens to face Newcastle in Philadelphia under four-year US deal". Theguardian.com. Retrieved 22 May 2017. ^ a b "Premiership Rugby Match Officials". Premiership Rugby. Retrieved 22 August 2018. ^ "Play-off system removed from Greene King IPA Championship from next season" (Press release). Premiership Rugby Limited. 3 March 2017. Retrieved 4 March 2017. ^ Mairs, Gavin (29 June 2012). "London Welsh to join Aviva Premiership after winning appeal against decision to deny them promotion". The Telegraph. Retrieved 31 July 2013. ^ "Most Matches". ESPNscrum. Retrieved 22 August 2018. ^ "Most Points". ESPNscrum. Retrieved 22 August 2018. ^ "Most tries". ESPNscrum. Retrieved 8 January 2018. ^ client (11 May 2016). "Salary Cap". ^ Halliday, Josh (12 September 2012). "BT lands exclusive UK television rights to show live rugby union". theguardian.com. Guardian Media. Retrieved 12 September 2012. ^ "BT Sport extends Aviva Premiership rugby rights until 2021". BT Sport. British Telecom PLC. Retrieved 16 March 2015. ^ "Channel 5 to show live Premiership match for the first time on terrestrial TV". The Guardian. Guardian News and Media Ltd. Retrieved 4 May 2017.